I’m in a sorority and this fall semester, I got a little – a member of your sorority who is in a younger member class than you and you act as her big sister. My little, Taryn, and I get along perfectly, and we both share a strong love for food. Naturally, we just want to go out to eat together all the time, and one day we went to Jenny’s Kuali. Jenny’s has some of the most amazing Malaysian food you will find in Bethlehem, and I’m satisfied every time I go there. 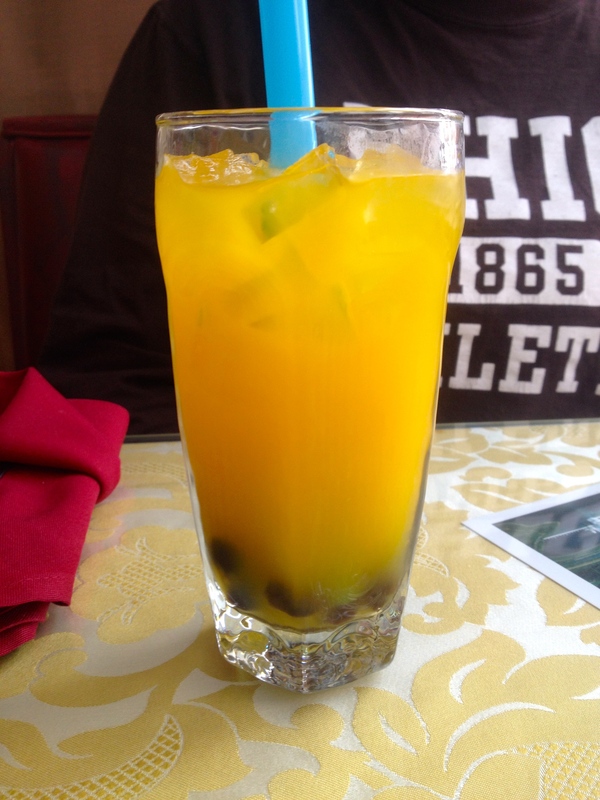 Taryn and I started off our meal with some bubble tea. 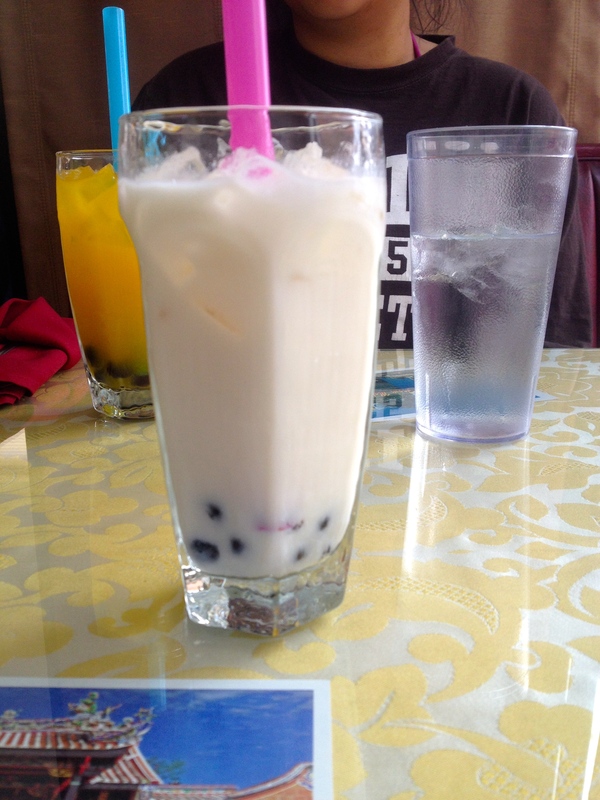 Bubble tea is also known as boba or pearl milk tea. It’s a flavored milk tea with tapioca balls in it, and she ordered mango and I got coconut. The mango was delicious because it had a nice sweet and fruity flavor to it. The coconut tasted just as good but in a different way – it was sweet but not overpoweringly so. Our teas were so good, we couldn’t wait for our meal to come out. I ordered the chicken szechuan, which is chicken cooked in a spicy plum sauce with firm bean curd, broccoli, snow peas, and mushrooms. I got it with brown rice, and asked them to bring out some extra spices in case it wasn’t spicy enough for me. I mixed some of the rice in to absorb the sauce, and it tasted great. The sauce had a light taste to it – Malaysian food tends to remind me a bit of Chinese food in flavor and how the sauces aren’t always very heavy like in Indian cuisine. It wasn’t spicy enough for me so I’m glad I asked for extra spice on the side. I really enjoyed my meal and that’s my go to every time I go there (although if you like noodles I highly recommend the Mee Goreng). 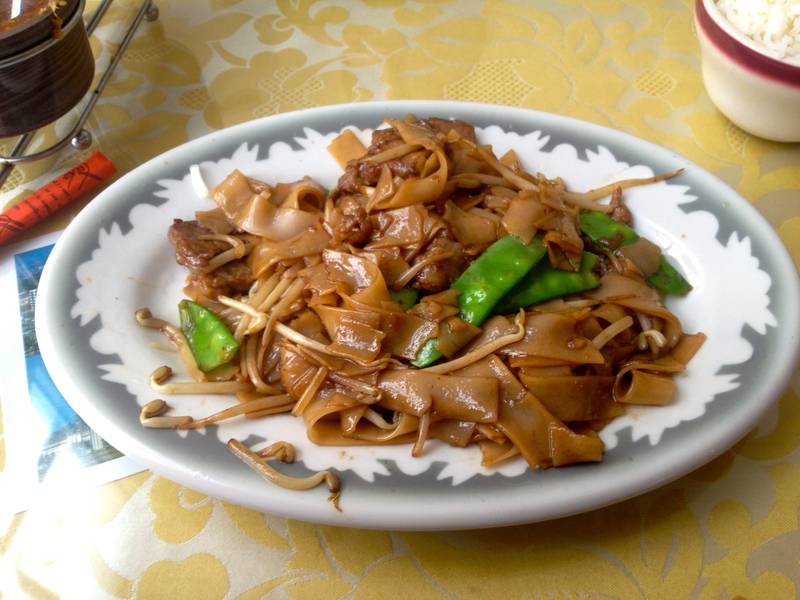 Taryn ordered beef chow fun. If you’ve never had Malaysian food, this is another example of how it is similar to Chinese food. She said she really enjoyed it, and we both happily devoured our meals. Every time I go to Jenny’s, the servers are also very nice and I always have good service. One of my friends went to Malaysia two summers ago and she says Jenny’s is the only place she’s found in America thus far that has food that tastes almost as authentic and good as the food she had in Malaysia. The food is reasonably priced and you get the perfect portion size – you can finish it all without being disgustingly full and it is worth the money. The atmosphere is casual and there are beautiful pictures of Malaysia to look at while you are eating. If you’ve never had Malaysian food and you’re feeling adventurous, I would definitely recommend trying Jenny’s because you won’t be disappointed.